The Brittany’s are luxury townhomes and apartments in Rochester, Minnesota. We have both townhome and apartment rentals which provide you the luxury and privacy you deserve. The Brittany’s offers 2 bedroom apartments as well as 3 bedroom townhomes. All our townhomes and apartments offer your own full size washer and dryer, central air conditioning, patio or deck, lawn care, snow removal, and maintenance. All of our townhomes feature an attached two car garage. Each townhome living room has a gas fireplace with blower. Families will enjoy our top of the line playground and barbeque grilling area for summer fun. We are located on the city bus line and adjacent to the IBM complex with a Park and Ride lot for commuters going downtown and to Mayo Clinic. We are also close to the Douglas Trail, shopping, schools and much more. All the luxuries and none of the hassle! Welcome Home to The Brittany’s – 100% Recommended on apartmentratings.com! I love living in this community! The area is quiet and peaceful but you are just down the road from anything you could want or need. The staff here is so kind, helpful, and accommodating! My experience living here has been awesome! I cannot say enough good things about my stay at the Brittany's, which lasted for almost 6 years. The staff is awesome! They are so friendly, kind, always willing to help you out at a moments notice, and treated me like a long time friend. The staff is quick to answer questions, respond to maintence requests, and keeps one informed as to what information is important for residence to be aware of. The townhomes , I must mention, are kept in immaculate shape. Nancy and Luke thank-you for everything. It was an awesome 6 years. I have lived at the Brittany's for 2 years and I just love it. It is everything I was looking for in a townhouse: great location, spacious living, a large deck, gas fireplace, laundry room, and a two car garage. It truly feels like home. The management and staff could not be more gracious and helpful. The staff all go above and beyond to ensure residents are happy and satisfied. Any issue is quickly resolved and followed up to ensure resident satisfaction. I would recommend this community for anyone looking for a safe, well maintained, spacious living environment. Living at the Brittany's is wonderful! I absolutely love calling this place home. It is very peaceful and quiet. Its great having an attached two car garage, fireplace, patio/deck, and washer and in unit. It's also great to have Mayo Clinic's park and ride just next door. Maintenance always responds quickly and is always friendly. Extending my lease was the best decision I've made- looking forward to another wonderful year! I loved my time at the Brittany's! The space was clean and tidy when we moved in. I only had one maintenance issue while we were there it was fixed almost immediately. The staff was always friendly, accommodating, and extremely easy to work with. I highly recommend these homes to anyone moving to or currently living in Rochester. I have lived at the Brittany Townhomes for almost three years now and I have thoroughly enjoyed it. I definitely plan on signing a new lease agreement for another year or two. You couldn't ask for better management. They are always on top of anything that you might need help with. I moved here to Minnesota from Arkansas and they have always been so nice by helping me get settled in with where things were in town, always a quick response on emails, always very quick to respond to any situation that might interrupt this quiet and peaceful living community. I totally recommend The Brittany's! Well maintained, affordable, and extremely responsive management. By far best rental experience of the many I've had. I have been a resident of The Brittany community since July 2016. I only have positive things to say about our home, the staff, and the community. We've enjoyed our home and it has been very comfortable for our family of four-especially having a two car garage in the winter and a washer and dryer, all for such a low monthly rent. As for the staff, they are wonderful. Not only are they friendly, but they are very attentive to your needs. Any time something has gone wrong or when there is something in need of repair, I have received an immediate response-even during the weekends. I've rented more times than I can count in the last 10 years, and this is by far the best experience I've had with a maintenance staff. Lastly, the community is great. I feel very safe and the neighbors are friendly. We attended the yearly Easter egg hunt too and my little girl had a blast. We've enjoyed our time here and are grateful we've have had such a positive experience living at the Brittanys in Minnesota! Feels like a home but none of the stress that comes with home ownership. Whenever we have a problem with our townhouse we put in a maintenance request and it's taken care of right away, usually within 24 hours. We have an end unit so we have a very nice view of Northwest Rochester on top of the hill we're on. The Brittany's have both townhouses and apartments. We stayed in a apartment for a year and it was a great experience for us. The location is nice as it is in a less crowded part of town and has everything you may need nearby with not a far drive at all. The area is safe and does have a bike path, the Douglas trail right across the street, that we used frequently. Communication with management and maintenance is superb and timely. The grounds were always clean and well manicured. The apartment was clean, big kitchen with plenty of counter and cupboard space, big laundry room which we stored 2 bikes in and still had room to manage around. Our time in Rochester was made better we feel because of our experience with living at the Brittany's. Awesome townhome living! Beautiful, park-like setting, wonderful and responsive management. All the amenities you could want- 2 car attached garage, laundry in each unit, private deck/patio, gas fireplace, multiple bathrooms, great neighbors, quiet units. We're right on the bike path, close to bus routes, and there's even a park for the kids and a daycare center on the corner. A great place to live. The community is quite, clean and very well maintained. Management is the BEST. Very polite and respectful staff.Rent is reasonable. I did not get my rent increased for two years. I was given another offer of rent freeze if i were to stay for the next year. We lived here for 2 years and it was the best rental experience that we ever had! 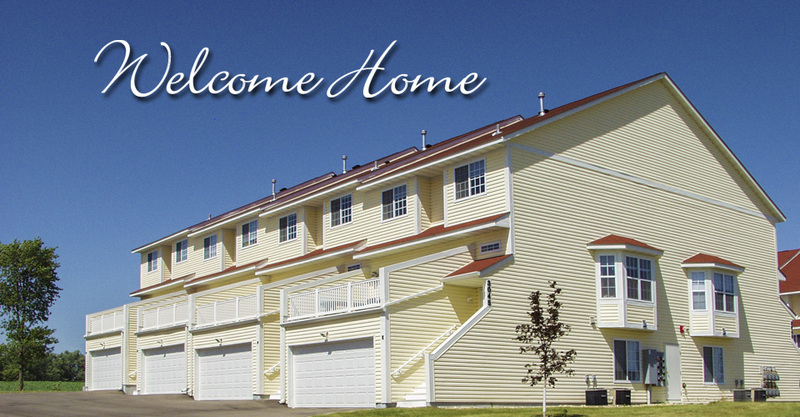 The townhomes are very well maintained, and the staff is very quick to respond to any maintenance requests. Everyone is incredibly helpful and they are were always happy to help with any issues or questions that we had. We can't recommend The Brittany's enough! Quite simply: a wonderful housing experience, one that exceeds your expectations. You can expect excellence in service and the respect you deserve as our valued residents. We are committed to your satisfaction. The Nelson family’s business mission is to deliver exceptional housing value. For more than forty years we have remained dedicated to providing comfort and convenience to those who come “home”.